Enlarge / An AMD Ryzen, built on GlobalFoundries’ 14nm process. In a big change of alignments, AMD has announced that its next generation of CPUs and GPUs will be manufactured by TSMC, not GlobalFoundries. GlobalFoundries was spun off from AMD in 2009. The once-integrated chip company split into two parts: GlobalFoundries took all the manufacturing facilities, leaving AMD as a fabless chip company. This gave AMD a big infusion of cash at a time it needed it, and it allowed GlobalFoundries to build chips for a wide range of customers. This close relationship has positioned GloFo as AMD’s preferred manufacturer, though TSMC and Samsung have offered alternative facilities. AMD’s current Ryzen, Threadripper, and Epyc chips are all built by GloFo on its 14nm and 12nm processes. 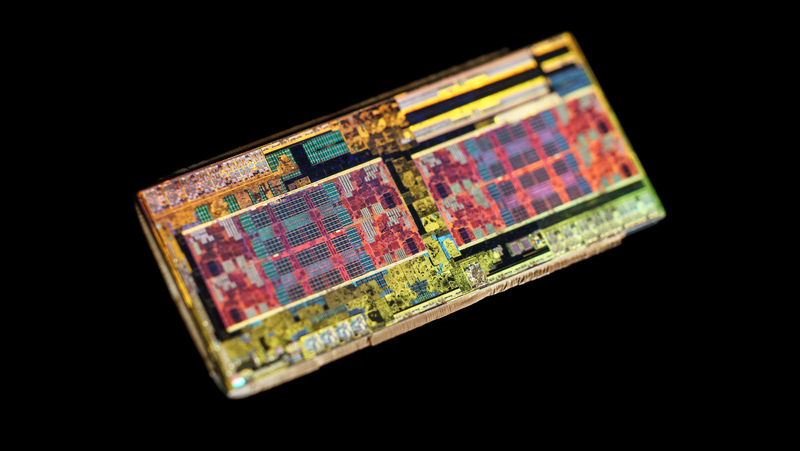 AMD uses TSMC for GPUs and the custom chips for Sony’s and Microsoft’s consoles. But GlobalFoundries has ceased its development of its next-generation 7nm process. Instead, the company will continue to develop its 14nm and 12nm processes and will focus on tuning them for radios, memory, and low power, making them a better fit for new high-growth markets such as highly integrated systems-on-chips and new 5G cellular components. That direction, however, comes at the expense of traditional high-performance processors. GloFo’s move is driven by economic considerations—the expected outlays for 7nm, 5nm, and beyond are expected to be enormous ($ 10 billion or more for a 7nm fab using extreme ultraviolet lithography), and GloFo would need to produce vast numbers of chips to amortize these costs. The company believes its money is better spent on refining its existing processes as such. This leaves AMD (and IBM, which sold its manufacturing capabilities to GloFo in 2014) without its preferred manufacturing partner. Accordingly, AMD has switched to TSMC for the “breadth” of its 7nm products. This arrangement will cover both CPUs and GPUs, with AMD previously having announced that Vega GPUs (due later this year) and future Epyc processors, codenamed Rome (due 2019), will be built by TSMC. The new manufacturing agreement leaves open the possibility that AMD could turn to Samsung for some amount of its 7nm manufacturing. While GloFo was used for all the shipping Zen-based processors, AMD did validate Samsung’s process and successfully build Ryzen chips on it, retaining Samsung as a fallback if needed. A similar situation could emerge for 7nm, though there are wrinkles. A chief sticking point with 7nm is that manufacturers expect to start using extreme ultraviolet (EUV) lithography at some point. EUV has been “imminent” for decades, with all the cutting-edge chip manufacturers agreed that it’ll become a necessity at some point over the next few years. To date, developing an effective EUV process has proven challenging. EUV precludes the use of traditional lenses and optics (glass absorbs the ultraviolet light), and EUV light sources are inefficient. TSMC’s current 7nm process doesn’t use EUV, but the one Samsung is developing does. The upshot of this is that TSMC’s 7nm manufacturing is ready to go now; Samsung’s is still some way off.